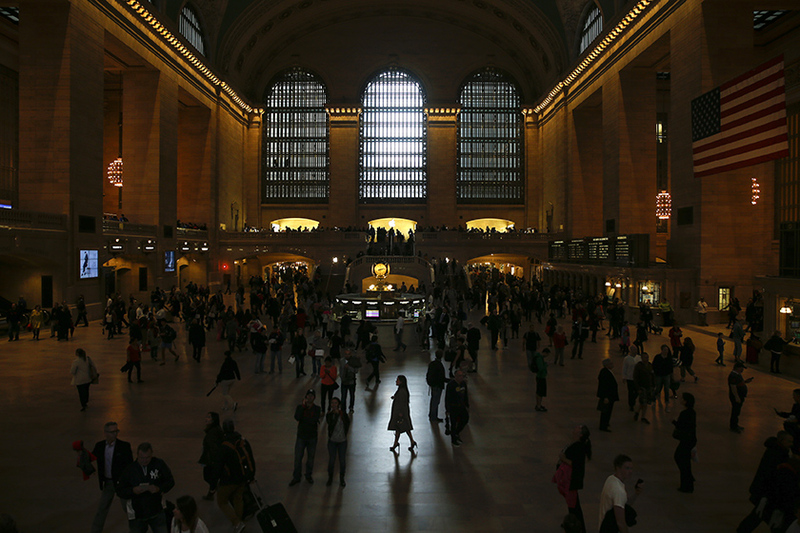 A woman is seen in silhouette walking through Grand Central Station in New York, September 25, 2014. Iraq has received "credible" intelligence that Islamic State militants plan to launch attacks on subway systems in Paris and the United States, Iraqi Prime Minister Haider al-Abadi said. Abadi said the information, which he received on Thursday morning, came from militants captured in Iraq. He said he had asked for further details and concluded it appeared credible. Two senior U.S. security officials, contacted by Reuters following the comments from Abadi, said the United States had no information to support the threat.